IE 8 is just flat-out broken. It doesn’t report element positions reliably. After spending a lot of time off-camera trying to figure out how to work around the problem, I finally give up. 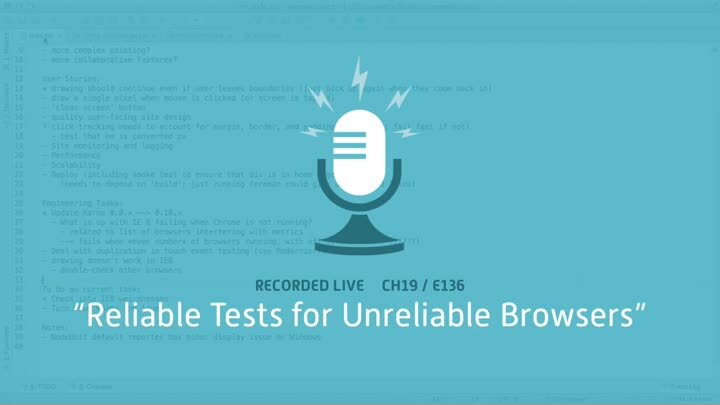 Now our challenge is to write tests that reliably test the browsers that work, without breaking on the browser that doesn’t.